This week is a quiet week of golf in terms of quantity – but quite a loud week of golf in terms of quality. The LPGA, European Tour, Champions Tour and even the Web.com tour have the week off – but the PGA brings us the US Open. The US Open this year takes place at Chambers Bay. This is the debut of this course for the US Open – it opened in just 2007 and is a fantastic course that has just one tree on it. This is going to be a really cool course to play on, and a really great tournament to watch. We’re very excited for it. Last year, Martin Kaymer was the winner of it and the year prior Justin Rose. Tiger Woods will be hoping to win his 4th US Open, while Rory McIlroy will be aiming for his 2nd. If Woods could win(he won’t), he would join the epic class of Willie Anderson, Bobby Jones, Ben Hogan and of course Jack Nicklaus – all of whom have won it 4 times. 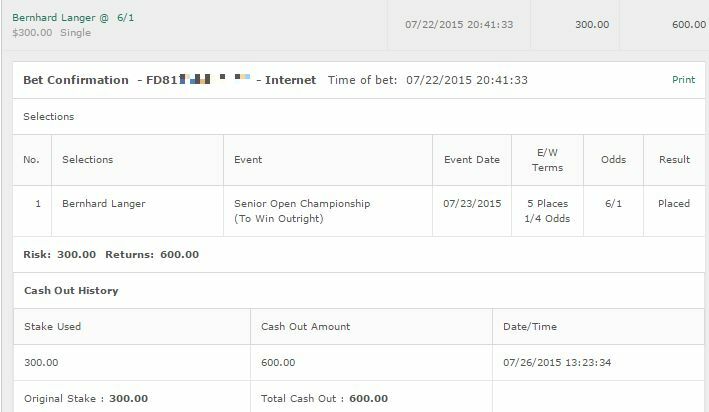 For those interested in the art of money burning – Tiger Woods is 66/1. 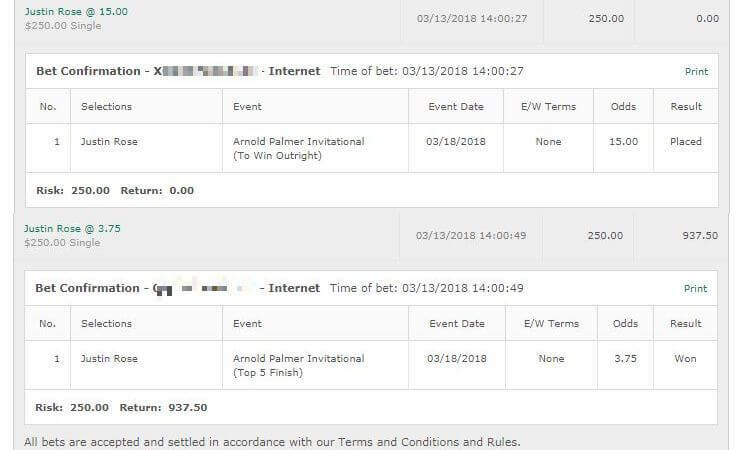 You should be placing all of your golf bets at Bovada for Americans. The reason is that we will be recommending each way bets for 2 of our betting tips, and you will get paid if they finish in the Top 6. Others it’s only the Top 5. Spieth has knowledge that others won’t have for this course with the help of his caddie. Michael Greller, Spieths cadie, knows this course very well and grew up in the area. Of course Spieth has something else the others don’t – pure unadulterated skill. Spieth is just too good to ignore – and even though the 8/1 odds are something that we’d prefer were a bit higher – we’re thanking the golf gods for Rory McIlroy. His skill and ability and short odds have made Spieth a play. Bet: Jordan Spieth to win. $8/1 odds and https://www.GTBets.com. Snedeker has solid form at the US Open. Nothing mind blowing but he’s usually amongst the top 20 and has 3 top 10 finishes. He’s coming into this on the back of some fine form though. While it’s been a couple weeks since he has been playing, his most recent finishes were a 2nd placed finish and a 6th placed finish. Snedeker also has great scrambling which from the looks of things will be perfect for this course. Bet: Brandt Snedker to win and bet E/W at https://www.GTBets.com. 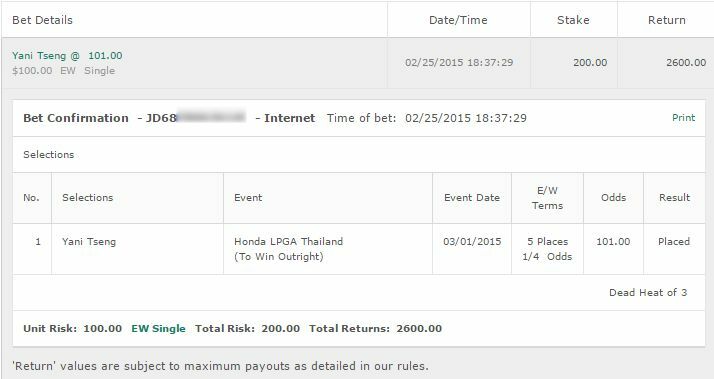 We’ve made money with Matsuyama already this season and we’re going back to the well once more. He’s had some great form all season and has really remained consistent. He’s also stepped up his game the last couple of years at the US Open – and yet again he has good scrambling stats. He is 33/1 and we will be on him. Bet: Hideki Matsuyama to win E/W at https://www.GTBets.com.